I will be attending and presenting a workshop at the Conference of Tolerance and Acceptance on Saturday, April 20 at Holyoke High School in Holyoke, Mass. The Holyoke Equal Rights Association (HERA) is presenting the event and invites all youth from the ages of 13-20 and their supportive adults to join this free, fun, and positive LGBTQ youth conference. The Conference runs from 10 AM to 5 PM. My presentation will be "Femulate: The Art of Becoming Womanly." The Conference is on Facebook. Gosh What a wonderful conference. I only wish such acceptance and support were there when I was in High School. Thanks for supporting our community this way Stana You go girl!!!! Same here Paula, there was not much on the subject back then for me either. Better late than never.. Have a good time Stana, you look great! I said, it is said that time heals all things, this Conference of Tolerance and Acceptance is an example. 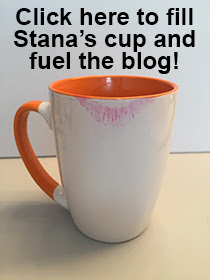 Do well, as I'm sure you will, Stana, and enjoy!